Don’t have time to scroll through the survey results? 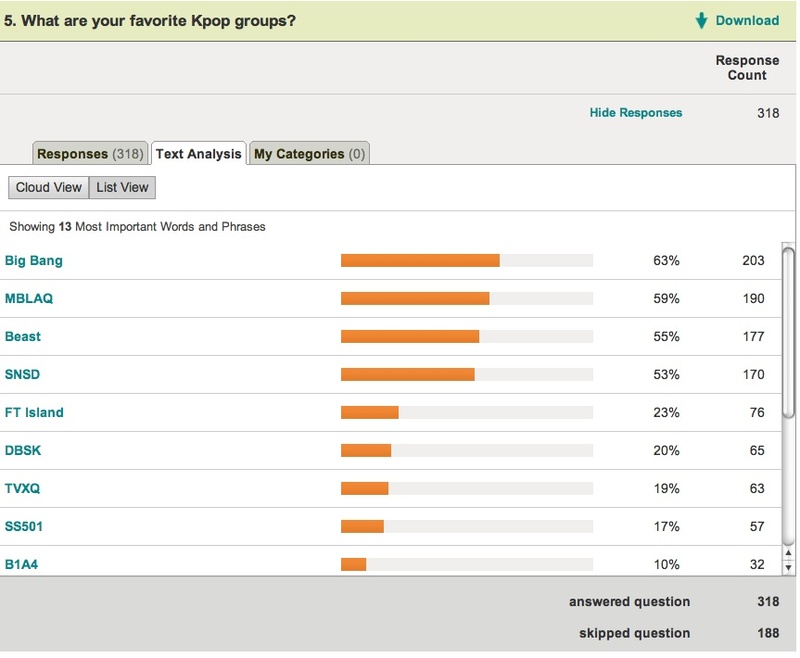 Here are the results for our favorite question: What are your favorite Kpop groups? Hi, may I know what are the demographics of the sample for this survey? We are still in the process of collecting data, so it is hard to say what those demographics are going to be. 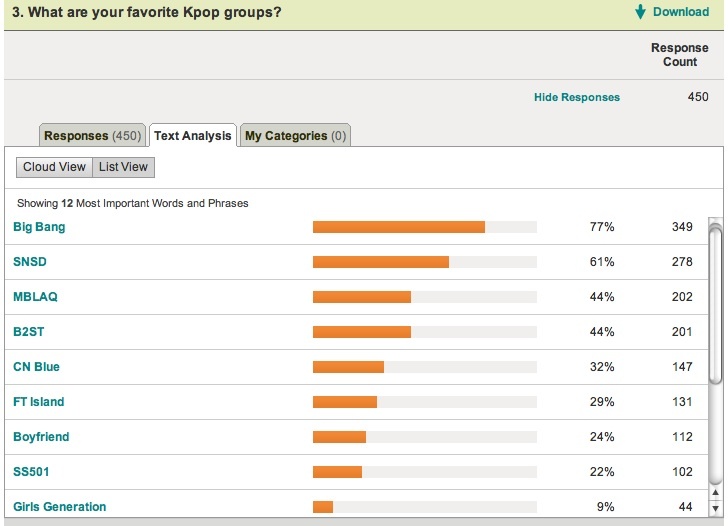 Right now, we know most of our respondents are women from the US. Singapore and Malaysia.